Do you have a home or business with property damage in West Hartford? Our property damage reconstruction services are certified and licensed. We provide expert care for issues like fire damage, mold and water damage, and severe storms. Always on your side, Sante Property Damage Reconstruction will work with insurance companies and claims assistance. Providing documentation, our property damage repairs are comprehensive solutions. Our customers and craftsmanship are at the core of our success. With over 30 years of reconstruction service, we have helped countless families and businesses. We understand how heartbreaking property damage can be. Heirlooms, expensive equipment, furnishings and much more may be damaged. Our top rated disaster reconstruction is fast and friendly. Call us anytime, day or night, for a free estimate and emergency property damage repairs. We have seen many disasters in West Hartford, CT. Our property damage reconstruction services have more than three decades of history in the community. When we repair fire disasters, water damage, and mold growth, we eliminate the problem. Our expert teams are available 24/7 with insured and certified property damage repair options. No matter if you have a home or business, we are available to you. Our free estimates are tailored to our client’s disaster reconstruction needs. Don’t hesitate to call us as soon as you are safe to discover how easy property damage repairs can be. We have seen many types of property damage. 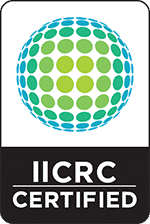 Fire disaster reconstruction may be the most difficult. Property owners are left with smoke and soot, firefighter water damage, and odors. This complicated problem requires a professional property damage reconstruction team. Our fire damage repairs solve lingering issues at the root. Not a band aid solution, our repair services are comprehensive. Sante works with fire insurance companies to get our clients the best results. If you are in the aftermath of a disaster, call us today for complete fire damage reconstruction. You may be surprised by how quickly water damage spreads. Moving fast, water and flooding damage seep into unexpected places. Humidity, odors, and property damage are extensive. Whether from natural water or plumbing, we know how to provide comprehensive water damage reconstruction. We work with our clients step by step to repair water damage. Invested in the West Hartford community, we value local homes and commercial businesses. Contact us to find out what a difference professional water damage repairs make. Often coming from moisture, mold damage can be a dangerous health hazard. If you are seeing visible mold growth, it is essential you call a professional mold damage reconstruction team. Our trained technicians are licensed and insured. Containing the area, they will protect air quality. If done improperly, mold spores will spread to other areas of the home or business. Sante’s mold damage repairs are fast and long lasting. Mold won’t return after we’ve left the property! Storms in West Hartford can be extreme. High winds, ice dams, and winter weather lead to issues like downed trees and storm damaged properties. Serving both commercial and residential clients, our storm damage repair is licensed. Our professional teams are insured to protect you. Available to work with insurance companies, we are familiar with issues like documentation and claims. Let us walk you through storm damage reconstruction by calling us today. Emergency service is available 24/7! From large scale industrial buildings to family owned shops, Sante Property Damage Reconstruction provides expert commercial disaster repairs. Whether mold growth, fire damage, storms or water damage have impacted the building, we can reconstruct the space. 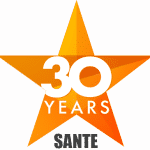 Sante offers professional results on time and on budget. Helping with insurance claims, we can assist with paperwork. If you have questions, contact our customer service to discover how easy we can make commercial property damage reconstruction. General contracting solutions are just a phone call away! Our licensed and insured general contractors are a comprehensive reconstruction and repair service. Fully qualified, we have more than 30 years of experience in West Hartford. As the cornerstone of our service, we focus on clients and craftsmanship. Sante works within timelines and budgets. If you need a general contractor today, we provide our customers free estimates personalized to your project! Our core focus has always been our customers and craftsmanship. Sante Property Damage Reconstruction cares about the West Hartford community. With over 30 years of experience, you can put your trust in our insured and licensed property damage repairs. Whether you have water damage or mold growth, our expert technicians are available. Simply call us today to ensure the success of any disaster reconstruction. Does your West Hartford Home or Business have Damage?